With a light touch and an expansive sense of space, Victoria Hagan has made her career creating interiors that are both timeless and of the moment, tailored yet comfortable. 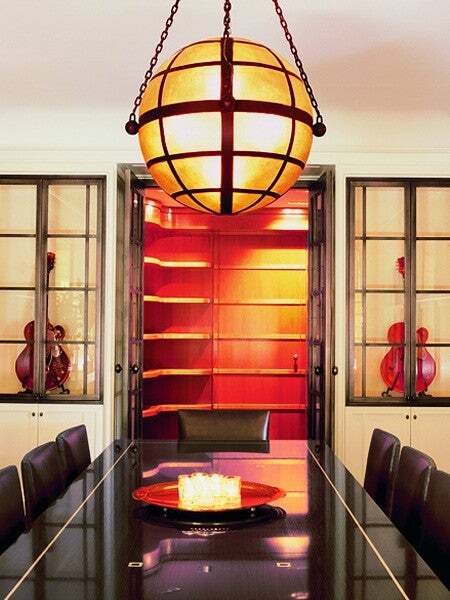 The interior designer Victoria Hagan established her New York firm more than two decades ago. (portrait by William Waldron, courtesy of Rizzoli). Top: Hagan also designs fabric and furniture, including the couch, club chairs, wing chair and ottoman in this home (Photo by Paul Costello and Sarah Laird). Hagan was clearly speaking about her own work. Like a little green dress, her rooms are timeless yet au courant and always at least a bit unexpected. 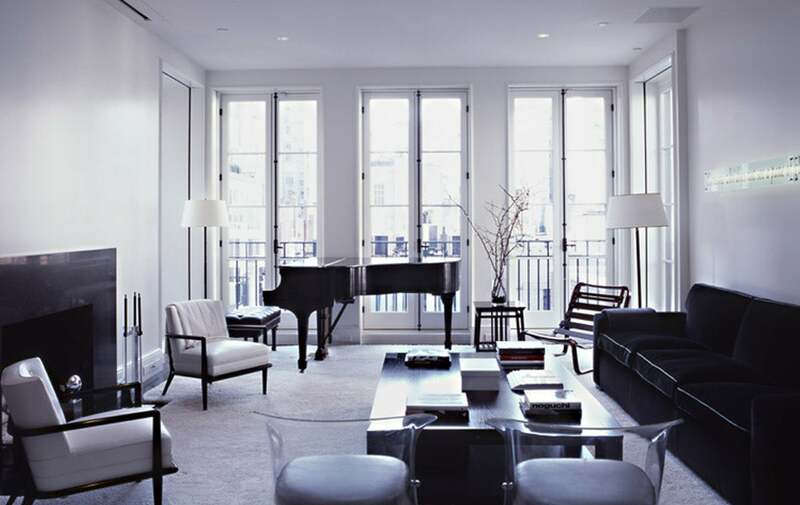 She favors furnishings and objects with classical appeal — bergères, trestle tables, Empire settees — but surrounds them with enough breathing room to highlight their sculptural silhouettes. She typically uses restrained colors, deploying pattern judiciously and with precision while incorporating contemporary art as a foil to those more restrained touches. The result, though deeply rooted in tradition, is utterly modern. In the context of a Hagan-designed room, a nail-head-studded wing chair isn’t there to telegraph period pedigree so much as to throw a curve — often quite literally. “Graphically, I am always looking for the line, the form,” she says. That comment cuts right to the heart of what makes Hagan tick. Yes, she loves designing rooms that age gracefully from an aesthetic standpoint, but she also wants them to function gracefully for their inhabitants. Accordingly, she is as proud of her savant-like knack for divining her clients’ every need and desire as she is of her significant professional accomplishments: repeat appearances on Architectural Digest’s AD 100 list; her 2004 induction into the Interior Design Hall of Fame; a highly regarded 2010 monograph, Victoria Hagan: Interior Portraits; working with such well-known clients as Conan O’Brien, Ron Perelman and Barry Sonnenfeld. That notion of the pause is key to understanding Hagan’s design sensibility. 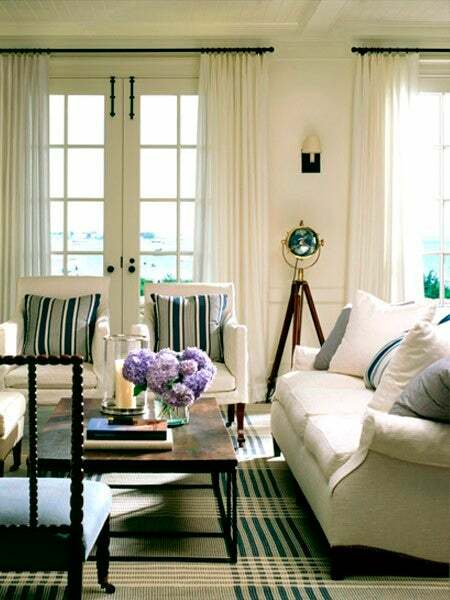 Her portfolio is diverse, ranging from Manhattan penthouses to a Jackson Hole ranch and an island-chic Caribbean home. 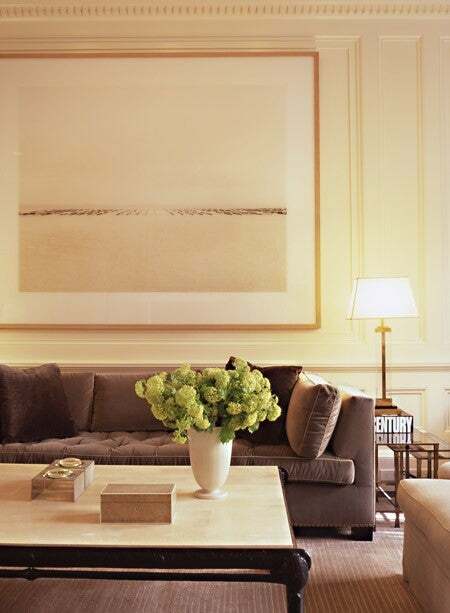 But a hallmark of all her projects is a prevailing sense of white space. It’s something that allows each piece of furniture and every architectural element to shine and that invites daylight to become an active participant in the decorative scheme. “I often talk about volume,” she says. “The notion of the void is a very powerful element in design.” She explains that two of her favorite spaces, New York’s Central Park (which her Columbus Circle office overlooks) and the sculpture garden at the Museum of Modern Art, both exhibit a profound sense of openness. Another layer of Hagan’s work further evokes this concept of caesura: Her idée fixe is to design homes that conspire on every level to create peace and calm and that inspire clients to take a literal pause from life’s daily stresses — home as sanctuary in the truest sense. “I want people to walk through a space and say, ‘Oh this makes me feel good.’ That’s the kind of luxury I strive for.” Indeed, her brand of extravagance is not about an abundance of stuff; Hagan is a master at “paring” back the extraneous, thus leaving — perhaps counterintuitively — more room for comfort. She brings that laser-like focus to her product designs, too. 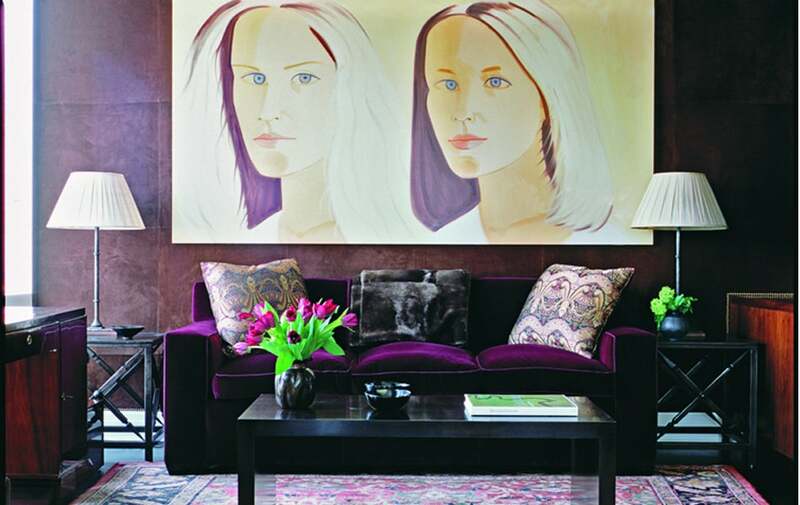 In 2002 — a decade after launching her firm — she unveiled the Victoria Hagan Home Collection, a line of case goods, upholstered seating and fabrics that’s carried across the country in such showrooms as Holland & Sherry and Profiles. “It was at a point in my career where it just felt right; I had something to say that I wanted to share,” she explains. Plus, she always found herself hunting for the same things, larger-scale coffee tables and comfortable dining chairs in particular. “You get a bedside table two inches off, and it just doesn’t work,” she notes. 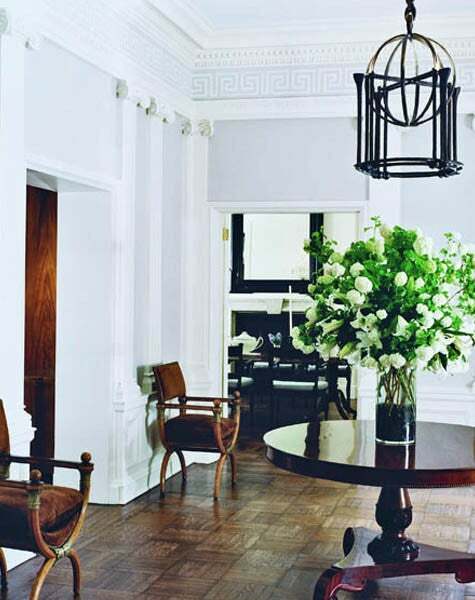 The designer is known for her elegant, subdued interiors, but on a hunt for antique and vintage gems, she shows her exuberant side. The sought-after designer shares inspiring getaways in her new book, Dream Spaces.